We would like to invite you and your guests to a wonderful trip through the world of Christmas ornaments. You could book every attraction right now. 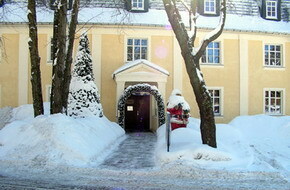 Our factory outlet is located in Lauscha, the birthplace of Christmas ornaments. 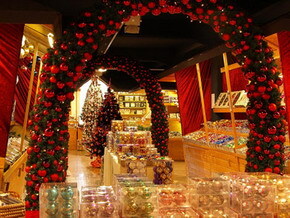 The store has 350 m2 and you will find more than 5.000 different Christmas ornaments. 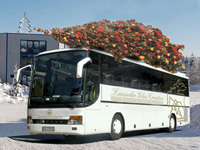 It is the biggest range of Christmas decoration in Thuringia. Tourists get to know the traditional Thuringian craftsmanship in a special way. They learn everything about the traditional production of Christmas ornaments through a charming movie. 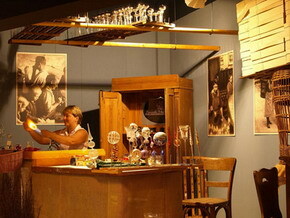 The movie shows original pictures and the senior boss reports the development of Lauscha and his company. Afterwards if ordered visitors can also watch the glass blower and artisan ornament painter. 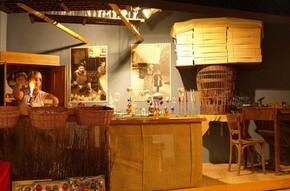 Both craftspeople are sitting in a traditional workshop from 1900. We would be more than happy to welcome you and your travel group. Are you interested? Sign in for a online reservation.